Have you ever worried about being expected to understand what finance people are saying when they quote `gearing ratios' or `equity yields' at you? Whether you are in a large organization or just starting out on your own you will want to avoid missing something important and know how you can achieve the financial targets that are critical to you and your business. It is important for all those engaged in business to understand how financial ratios can be used to measure the performance of a business. This has never been more urgent and important, when corporate frauds and corporate governance are high on the public agenda. However it is also important to understand how they can be used positively to maximize value and success in a business. This book covers the full scope of business. It uses a model, the Enterprise Stewardship Model which has received international acclaim, to illustrate the power - and the limitations - of financial ratios and explore the tangible and intangible aspects of creating value in a business. It shows how ratios can be used to describe, measure, and help to maximize, value and success. 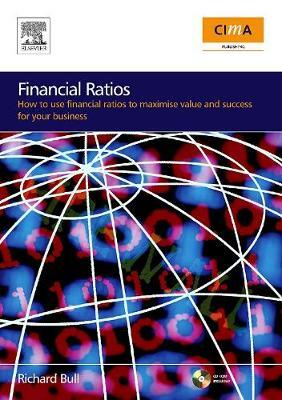 And it includes worked examples to illustrate how to generate and calculate key financial ratios. The CD that is included with the book enables the reader to both understand and apply the subject for themselves through the use of interactive exercises. It also includes a short introductory video, a slide show and some structured questions to prompt a strategic business review using ratios. Relationships are at the heart of this book. Ratios themselves are relationships - between different sets of numbers or measurements. It is important to understand them and be able to work with them. But is also important to understand and be able to work with people in a business and this book looks at different perspectives on a business and explores how financial ratios can be interpreted differently from different standpoints. "A splendid job! You have made a complex subject highly accessible. It is very readable for anyone engaged in business whether in a small firm or a major corporation." - Peter Hutton, Managing Director of Brand Energy Research and formerly Group Development Director for MORI "Great concept: nicely executed and well written. Financial Ratios has a logical structure and flows well - I really enjoyed reading it and couldn't put it down!" - Dr David Hillson FRSA FAPM FIRM FCMI, Director of Risk Doctor and Partners.